While most motion control systems require you to use a specific slider or camera base, the genius of the Genie is that it runs along a simple nylon cable. As a result, you can use it with any slider out there, or even a dolly! Simply tell the Genie how far you want it to go (in metric and imperial), and how long you want the move to take. It’s a simple, well thought out interface. One of the nice things to see is that Syrup already released a number of major firmware features since the product was released, so you can expect new features all the time. The Genie allows camera triggering through the unit directly with the appropriate cable for your DSLR or mirrorless camera, the Genie will trigger a still only once all movement has stopped, ensuring sharp images. One of the most interesting features released on the latest firmware update is called ‘Bulb-Ramping’. When you want to shoot a time-lapse transition from day to night, simply dial in the starting shutter speed, and the ending shutter speed, and the Genie will smoothly change exposure for you during the time-lapse. While this will not allow linear movements, the new Genie Mini will allow you to perform pan or tilt motion control, and it’s very reasonably priced. The exciting thing about the Genie Mini is it’s ability to communicate with the Genie (with an accessory cable), allowing you to do 2-axis movements. You can have the camera moving left to right, while panning to keep your subject in the same portion of the frame. 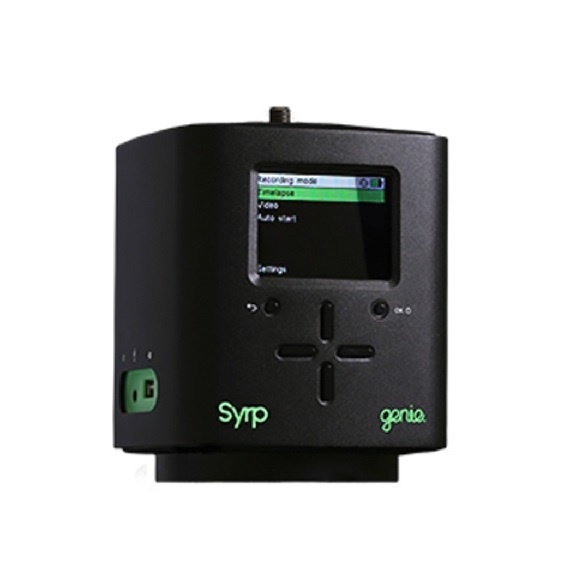 Its a very dynamic effect, and most 2-axis system easily cost twice what a Genie/Genie Mini combo does. Check out this great tutorial on how to setup a motion star timelapse using the Syrp Genie by Mark Gee. In this Star Timelapse tutorial you’ll learn how to setup a motion control timelapse using the Syrp Genie and Magic Carpet. This guide to Astro Timelapse covers everything from location scouting to camera setup and includes a detailed section on post production using Adobe Lightroom and LR Timelapse.